Namo Namo Ji Shankara Full Song Lyrics with English Translation and Real Meaning explanation from upcoming Bollywood movie Kedarnath. The spiritual song on Hindi God Shiv is composed and sung by Amit Trivedi while Amitabh Bhattacharya penned the lyrics. The music is on Zee Music. The movie Kedarnath stars Susanth Singh Rajput and Sara Ali Khan. 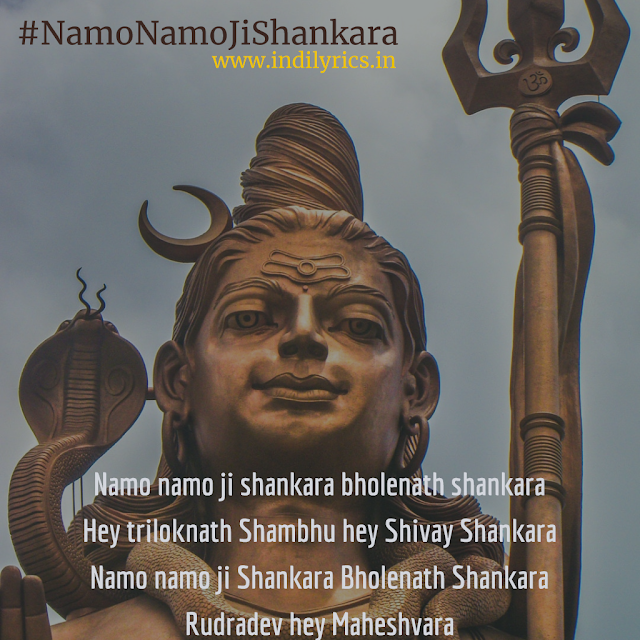 The audio mp3 version of Namo Namo Ji Shankara is free to download and stream from Gaana, Wynk Music, Saavn and other online portals. Mahadev Shiv is a Hindu God, this song is composed to portray his deeds and our love for him, and the names here mentioned on the song are all given to him for doing various deeds. Without chanting your name how can my breath survive? Those were not mine ever.